The Geobrugg FIA mobile debris fence meets the specifications set by the FIA Standard 3502-2018 Debris Fences. As a fully homologated solution, it works for city race tracks, permanent facilities and proving grounds for all levels of motorsport events. The seamless and quick installation of the system ensures that installation timelines are met. Local production of concrete barriers and local assembly of the debris fence panels reduce initial investment. 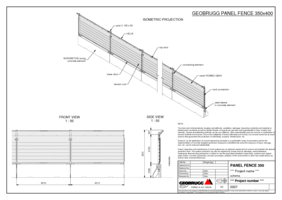 The mesh made out of high- tensile steel wire with a tensile strength of >= 1,770 N/mm2, enables maximum energy absorption with minimum deformation. 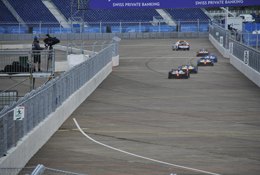 Geobrugg motorsport barriers are designed to work together. They can be combined or connected to each other. Our solutions are based on a plug and play principle. Installation manuals or movies make it easy to do the installation.